Video footage of MEGADETH bassist David Ellefson‘s March 22 appearance in Zlín, Czech Republic can be seen below. 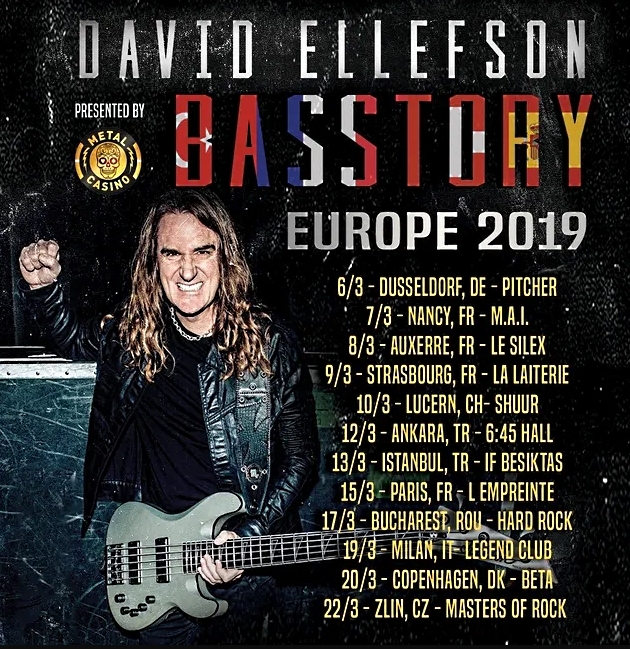 The gig was part of Ellefson‘s “Basstory” tour, which combines solo bass performance with David‘s celebrated brand of storytelling, as he recounts intimate details of his struggles and triumphs in the name of rock ‘n’ roll. “Basstory” also includes special VIP meet-and-greets, exclusive merchandise, and more.